The Sher-e-Kashmir Cricket Stadium wherein the Prime Minister Narendra Modi is scheduled to address people on December 8, has its own history of lofty episodes of the past. 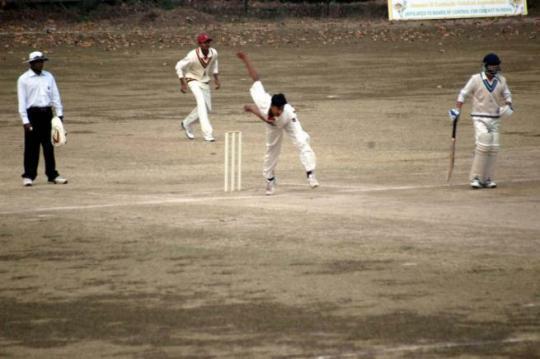 On 13 October 1983, on the same ground, for the first time a one day international was played between India and West Indies. India batted first, but the match was affected due to the protests by Kashmiris digging the pitch during the lunch interval. When match was resumed rain and dust storm affected the play, and India scored 176 all out. West Indies scored 108 for no loss in 22.4 overs before rain ended play, and West Indies were declared winners as the revised target was 81 in 22 overs. Desmond Haynes of West Indies, who scored 55 not out, was declared Man of the Match. On 9 September 1986 second and last one day international was played at the Stadium between India and Australia. Australia won the game. With the onset of militancy, the cricket ground was taken over by the forces and after 18 years, the ground was fully vacated by it in November 2007. 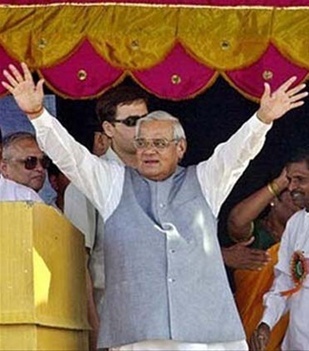 It was in 2003, when at the same ground, the then Prime Minister Atal Bihari Vajpayee during addressed the gathering of some 20 thousand people and announced opening of Jehlum Valley route. Now after 11 years, the Prime Minister Narendra Modi is scheduled to address Kashmir from the same venue. BJP claims the rally would be attended by one lakh people on December 8. Because I have been writing about the United States as the enemy, CIA-RAW have been doing various things, including the current terror attacks, to change it to Muslims as the enemy. The huge hungama in Parliament about Sadhavi Niranjan’s use of ‘abusive’ language (“haramazadon”) is at the suggestion of CIA-RAW to divert attention from my reference below to “Mother-Chod” Modi. Much of what India’s CIA-RAW-controlled politicians and media say is meant to keep the suppression of Satish Chandra covered up otherwise the top dozen or so stories in the Indian media on any given day will be about Satish Chandra who can make India the supreme military and economic power in the world immediately. In the festival of Gadhimai — goddess of power — on November 28-29 ‘14, held every 5 years in Nepal, hundreds of thousands buffaloes and other animals were slaughtered over two days. India needs to slaughter Americans by the millions, by exploding its nuclear warheads already emplaced in Washington and New York with a warning that additional U.S. cities will be similarly destroyed if there is any retaliation or sign of retaliation. “Modi gives Buddha a miss as South Asian leaders flock to Nepal” says a Reuters headline. This was because of my criticism of the pacifism of Indians for which I have held Buddhism responsible. Starting with Indira Gandhi as prime minister in 1975, Indian prime ministers, while taking my guidance in matters large and small, have carefully avoided taking my name in obedience to their CIA masters, much as Indian media do even as Modi dismissed his National Security Adviser immediately after my remark below about India’s national security. A Delhi court has ordered the arrest of Delhi University Vice Chancellor for plagiarism. I have described (see my blog BFSkinnersPlagiarismDOTblogspotDOTcom ) my exposure of the plagiarism of an American whose world-wide reputation exceeded the combined reputations of three dozen Nobel Prize winners in the Boston area and the upheavals this exposure caused and its cover up. In dismissing his National Security Adviser because of my remarks Modi was stealing my intellectual property without giving me credit as Indian prime ministers have been doing since 1975 and must be arrested. The Vatican made a political master-stroke by giving sainthood to two Indians at this time. Five thousand “pilgrims” traveled from Kerala to Italy for the event. The impact on national security of Indians’ pilgrimages to American universities is beyond devastating. Because I have written below about Air Marshal K. J. Mathews, it calculated I will not write against this nefarious move as I did when sainthood was sought to be conferred on Mother Teresa on the basis of fabricated miracles to convert India to Christianity and India’s ‘Hindu nationalist’ government is all in the grip of India’s CIA enemies continuing the Indian government’s 4-decades long collaboration in the crimes against India and the greatest Indian of all time. Giving sainthood to two Indians just as Mother-Chod Modi has invited the president of the Americans — who I have said must be killed by the hundreds of millions and their centers of learning destroyed — is perfectly timed. INDIA’S NATIONAL SECURITY REQUIRES IMMEDIATE DESTRUCTION OF ALL CHURCHES IN INDIA AND KILLING TRAITORS LIKE MODI WHO COLLABORATE WITH INDIA’S AMERICAN ENEMIES. ALL CASES AGAINST INDIAN ‘GOD MEN’ MUST BE DROPPED.